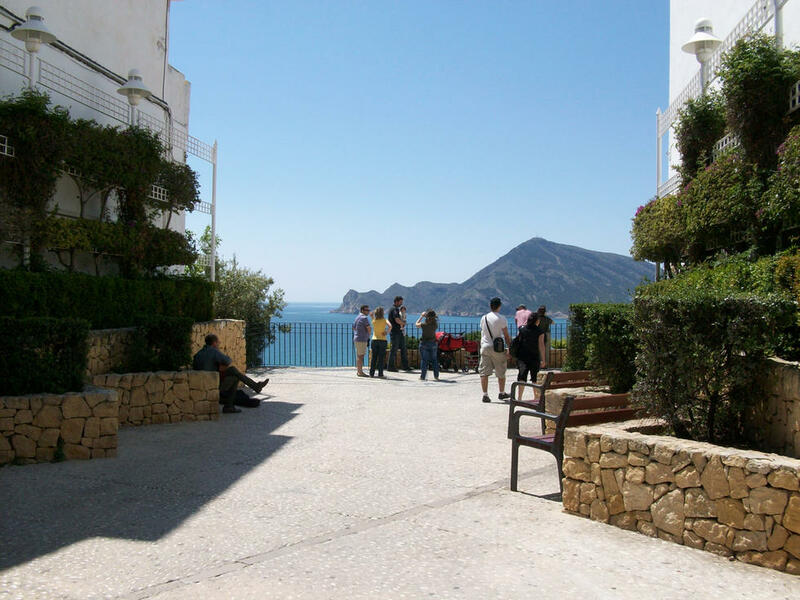 Altea is one of the most beautiful and sustainable towns in Spain. Its Old Town and its viewing points are enormously known for their charm. Many of its streets are paved and walking through them you can see a large number of restaurants and hotels. 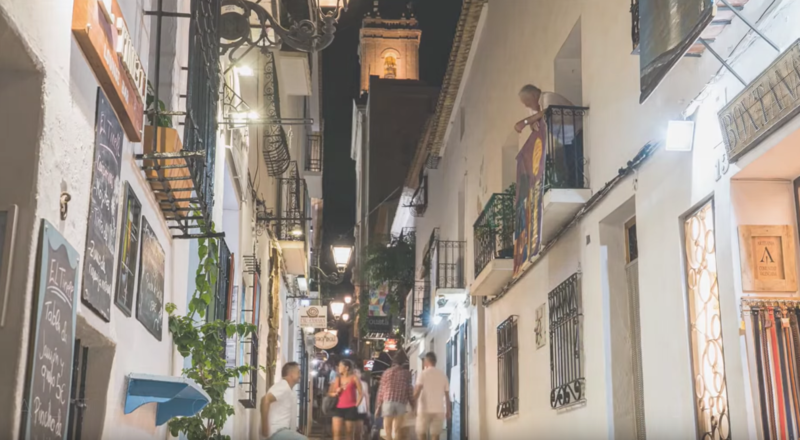 The Plaza de la Iglesia, the church square, is the heart of Altea, an authentic center of leisure and culture, especially in summer. The seafront has no waste. We will enjoy beautiful beaches of boulders, much quieter than sandy beaches and without difficulty to go with children, as romantic destinations or as you wish, where you can practice all kinds of water sports such as swimming, sailing, fishing, snorkeling … And much more. If you feel like hiking or any other sport, you also have a wide range of options, since nature gives these charming places mountains such as the Sierra de Bernia or the Natural Park of Sierra Helada. 1. PORTAL VELL: Portal Vell or Puerta de Valencia, open to the Camino Real north of the wall. In the XVII Century the Main Street connects the Portal Vell with the Plaza de la Iglesia. It is preserved today with its unchanged layout. At the end, on the right, the union of the original temple with the new Church is observed. 2. SALAMANCA STREET: Buildings of interest can be found at numbers 1 and 3 of the mentioned street. At No. 5 of this street, the building preserves practically intact the typology of the second half of the eighteenth and early nineteenth centuries, corresponding to the wealthy local bourgeoisie. The house is in use and in a very good condition. 3. GLORIETA DEL MAÑO: Next to the bastion, in the northeast corner, was the House of the Lordship that dominated with its fire the mouth of the Algar River. Today the Glorieta del Maño, with panoramic views, takes its place. 4. CALLE FONDO: In Calle Fondo No. 8, the building that maintains the foundational division of the eighteenth century is attached to the wall, without perforations in it. Also of interest is the building on Calle Concepción nº 5, where an oven from the founding era has been discovered. 5. PORTAL NOU / PLAZA CARMELINA SÁNCHEZ CUTILLAS: Portal Nou is the second of the two doors that are preserved. Also called Puerta del Mar, it opens in the mid-eighteenth century given the importance of the Rabal Marinero, at the inflection point of the Levante canvas. Attached to the Portal, is Plaza de Carmelina Sánchez Cutillas. 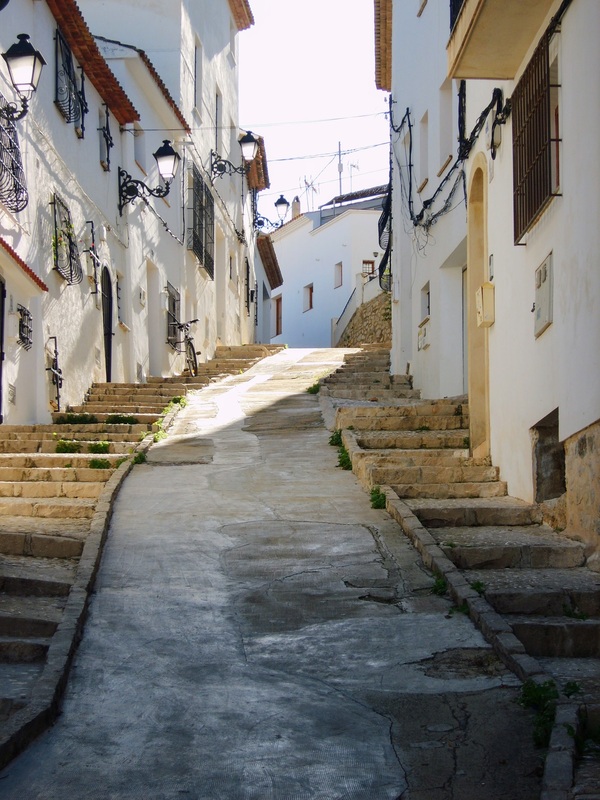 With it, Altea pays tribute to the Altean writer of ​​the generation of 50, who brought the fantastic world of letters to the streets of the town through the book Matèria de Bretanya. 6. PLAZA DE FRANCESC MARINEZ I MARTINEZ: In the southeast corner of the bulwark was the Casa del Comú i Justícia. Today the Plaza de Francesc Martínez i Martínez honors the figure of the illustrious Altean historian. 7. SANTA BÁRBARA STREET: As a singular building, inside the complex, there is the facade of the Cervantes House. A house built by D. Francisco Martínez Martínez, member of the Valencian Renaissance of the early twentieth century and eminent scholar of the work of Miguel de Cervantes. 8. 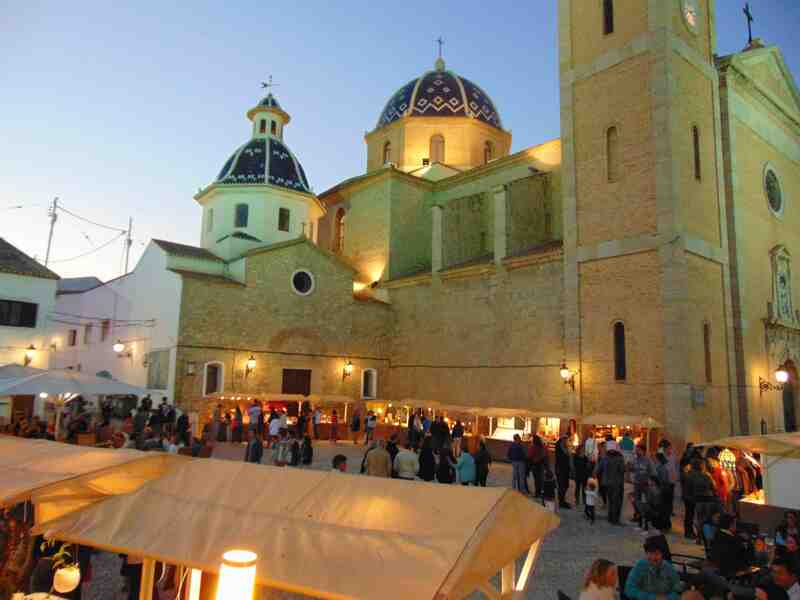 PLAZA DE LA IGLESIA: Space occupied by the Altea Castle, with a square body, with three sentry boxes at the corners. In the fourth corner, an emerging rhombus was added and finished in an arrowhead to defend the castle’s access door. From its vantage point, we feel an active part of History, involved in the past of our people. 9. CALLE CURA CREMADES (PLAZA IGLESIA INTERSECTION): In the south-west corner of the bastion was the Portal del Castell or del Polop, open to the west. Cura Cremades Street owes its name to the parish priest who made possible the construction of the Parochial Temple: Juan Bautista Cremades Peiró, who knew how to combine the efforts of all the Alteans to build the Church that predominates on top of the hill and that is a main part of the silhouette of Altea.